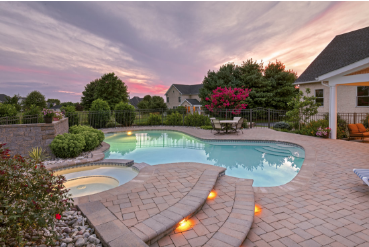 Our paving company is here to assist Home Owners Associations (HOA) in and around Melbourne with their paving needs for common areas such as entryways, roadways, walkways, community pools, and speed tables. Homeowners associations are legal entities that are responsible for landscaping, security, street maintenance and many other important aspects of the life of your local community. Paving is generally part of their duties since it represents a major investment that usually lasts for decades. We have worked with many property management teams over the years and understand perfectly what is required. We want you to make the most of your paving investment by making sure it remains in good condition for as long as possible. You can’t afford to not maintain your pavers and your pavement. 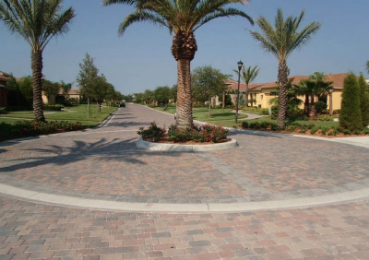 Vehicle traffic, foot traffic, and weather conditions can often damage your pavers overtime but can be easily restored with intervention from our friendly staff. Large repairs can be avoided by creating a maintenance schedule and sticking to it. The price for general cleaning and maintenance is low in comparison to what large-scale repairs would cost if you do nothing. You already know how important it is to carefully maintain the common areas if you want to increase resell values and attracts new residents or investors. These are the first things that your visitors will see and we all know how important first impressions are. Our experience working with businesses and homeowners associations has given us a great deal of expertise and in-depth knowledge of how town home communities, condo complexes, and subdivision neighborhoods operate. You won’t have to spend time explaining everything to us: our teams already have at their disposal the right equipment and tools to perform the job efficiently and quickly. Speed is particularly important if you don’t want to disturb the daily life of the residents. 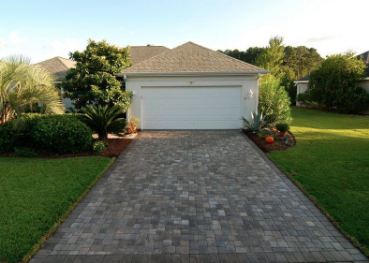 We offer quality pavers service to all the local HOAs in the region. Our highly trained staff can perform the necessary repairs as soon as you need it and will help you with the upkeep and maintenance of any common areas. You can simply contact us by filling out the inquiry form or by calling us to receive a free estimate. Performing all the tasks necessary to keep your pavers in excellent condition is what we do for a living, but it is also our passion. We love to see beautiful pavers everywhere we go and are happy to spend the effort required to keep them in perfect condition. Every project will be successfully handled from start to finish by our experts. We can first create a custom plan and provide a detailed proposal to give visibility to the property management team and help them plan the future maintenance tasks. Give us a call today at 321-280-9011 to discuss your next project. We have experience working with homeowners associations all across the county and will gladly advise and help you with all your wishes and requirements.